When Roland Sykes, DIMENET Internet guru and organizer par excellence, passed away in March 2008, his sister threw out all his papers and sold “The Big White Cloud,” the accessible bus that was his home. The late Evan Kemp — who introduced President George H.W. Bush at the signing of the ADA, succeeded Deborah Kaplan at the Disability Rights Center and was the first person with a disability to chair the EEOC — had his papers thrown into a trash bin on the street. 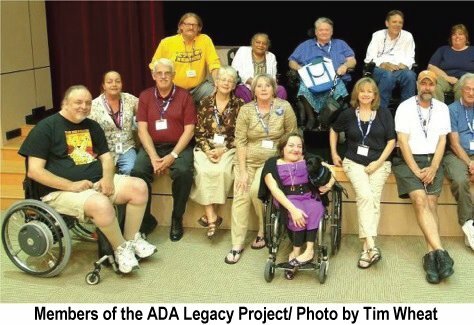 The newly created ADA Legacy Project hopes to prevent scenes like those from occurring again. The project’s goal is to ensure that the tangible history of the disability rights movement is collected and remembered.